Most know Androma Racella as the Bloody Baroness, a powerful mercenary whose reign of terror stretches across the Mirabel Galaxy. To those aboard her glass starship, Marauder, however, she's just Andi, their friend and fearless leader.But when a routine mission goes awry, the Marauder's all-girl crew is tested as they find themselves in a treacherous situation and at the mercy of a sadistic bounty hunter from Andi's past.Meanwhile, across the galaxy, a ruthless ruler waits in the shadows of the planet Xen Ptera, biding her time to exact revenge for the destruction of her people. The pieces of her deadly plan are about to fall into place, unleashing a plot that will tear Mirabel in two. Andi and her crew embark on a dangerous, soul-testing journey that could restore order to their ship or just as easily start a war that will devour worlds. As the Marauder hurtles toward the unknown, and Mirabel hangs in the balance, the only certainty is that in a galaxy run on lies and illusion, no one can be trusted. I remember when I first read Part 1 of the first book a few months ago and absolutely loving in. Now that I have the complete first part in my hands my emotions could not be contained. I was going to be once again in the Mirabel Galaxy following the Bloody Baroness and her crew of female space pirates as they are about to embark on a mission that puts more than their lives on the line but the lives of the entire galaxy. The book's chapters are separated by different character's POVs. Each giving an insight on what is going on near and far. 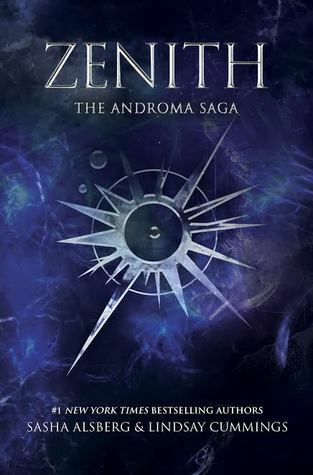 The love, the hate, the laughter, and the revenge are crafted expertly and the reader is immersed into all the emotions that are flying with the stars through this interstellar adventure. Androma has to be one of the fiercest female protagonist I have read in a while. She has to passion to do what is best for her crew, even it means killing. However, with all that fierceness is this vulnerability that is deep inside of her past that emerges after years running from it. I think my favorite part was getting insights from the other characters. I think it gives strength to the overall story and when writing a story across taking place across an entire galaxy. We got to see from Dex (LOVE HIM), Lir, Valen and Nor. We got to be a part of everything and I felt I was right there through the space races, the battles, and the feelings that were thought to be lost. Sasha and Lindsay took on an enormous task and delivered a science fiction best-seller. It is only the start of 2018 but this has to be one of my all time favorite books so far. For someone who is not that huge of a fan of science fiction you have won me over. I am excited to continue the Androma saga and to see the fate of the galaxy.